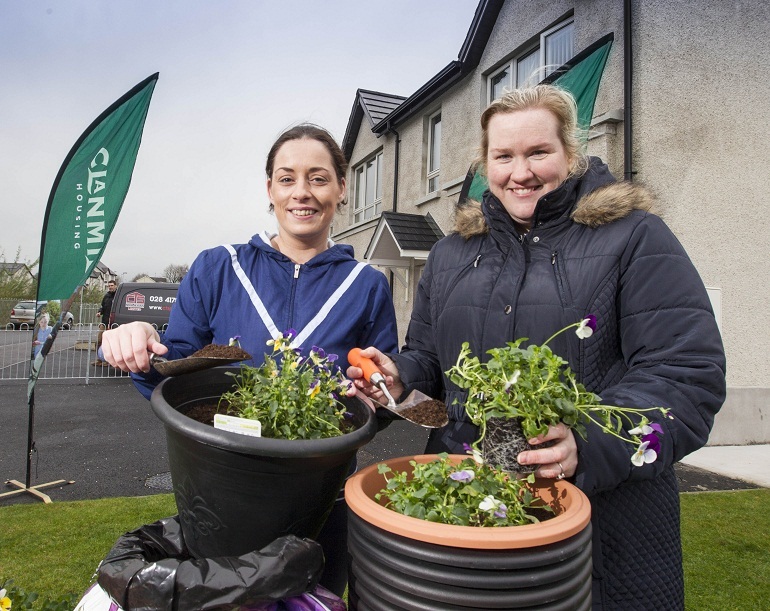 People living at Dobson’s Way in Bessbrook have taken part in a training ‘taster session’ thanks to a new £850,000 skills and employability programme introduced by Clanmil Housing Group in partnership with training agency Women’sTec. Over the next three years, through the new SPEC (Supporting People – Empowering Communities) Programme, some 500 people will have the opportunity to access accredited training in traditional skills such as construction, plumbing, joinery, painting and decorating, tiling, horticulture and IT. The programme is designed to give people who are struggling to find employment the opportunity to build skills through accredited training which will help equip them for the workplace. As part of the SPEC program Clanmil and Women’sTec run ‘taster sessions’ to allow participants to sample training in a variety of skills. At Dobson’s Way tenants tried their hand at gardening by getting involved in potting winter flowers and spring bulbs at the scheme. 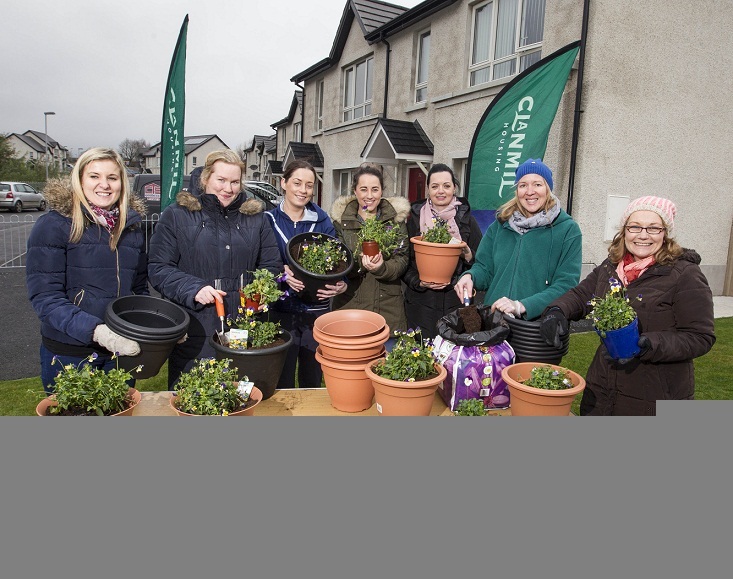 The session was a great success, with tenants planting more than 40 pots of winter flowers and daffodils, while learning new skills and spending time with their friends and neighbours. 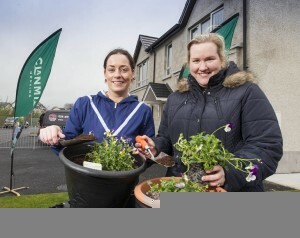 Tracy Quinn, who lives at Dobson’s Way, took part in the gardening session. 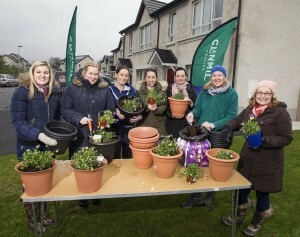 She said, “I really enjoyed getting together with my friends and neighbours for a bit of gardening. It turned out to be great fun and we all learnt how to properly plant flowers and blubs. The pots we planted have really brightened up our area. “Even though the weather wasn’t on our side we still managed to get plenty of planting done and have a laugh at the same time. I would definitely take part in these sessions again.” A full 10-week SPEC program will start at Dobson’s Way in January 2016, offering residents a chance to take part in a series of joinery workshops. As well as new skills, participants with have the opportunity to gain a beginner qualification in joinery, helping them along the road to employment.